ZBC's 2018 Donor Appreciation Report Now Out! Click on the image below to read the full report. Thank you for your support! Here is a curated selection of recent articles on topics that you will recognize as relevant for empowering individuals and communities to reduce breast cancer risk to the fullest extent possible. Like us all, you are so bombarded and overloaded that staying focused is a challenge itself. ZBC keeps that focus consistently to help you to do so as well. It's what you want us to do! Prescribing exercise is easy and important. Here is one challenge many women struggle with. "Breast size can affect how women exercise and whether they decide to work out at all, according to a large-scale new study of the exercise habits of women of all ages. The study suggests that physical concerns, including breast size and bra fit, should be openly and frankly discussed during considerations of what keeps people from being active. Nobody doubts at this point that exercise can improve our health, happiness and longevity. But a hefty percentage of adults across the globe rarely if ever move." Sound like a personal challenge you or someone close to you has faced? You can read the full New York Times article from March 6th, 2019 by reporter Gretchen Reynolds here. Its complicated. What looks at first blush like an article about asbestos in cosmetics sold to tweens and teens by the chain Claire's is a sad and sorry tale about the lack of effective oversight by the F.D.A., which simply doesn't have a mandate to ensure that our cosmetics are really free from toxins and carcinogens. You can read the full New York Times article here. Whilst ZBC doesn't guarantee any products, we do partner with Beautycounter Consultant Carolyn Bernstein, RN, NP. who promotes products that are intentionally created free of toxic chemicals. You can share this resource with the girls and women you know and suggest that they shop Beautycounter rather than Claire's, drug stores, and other outlets just providing shelf space to a bewildering variety of unregulated personal care and cosmetic products. Full disclosure ZBC will receive a donation of 10% of sales from Carolyn. "Along with food, we also “eat” the packaging and materials food touches on the way to us. We need to treat the materials in our packaging like the ingredients in our food and demand the healthiest options available. In our latest report, “Safer Materials in Food Packaging,” we highlight the need for innovation in food packaging, as well as a vision for a safer food packaging future. Innovation in the packaging sector is necessary because plastic from packaging pollutes our waterways and oceans, packaging waste makes up a large portion of our solid waste, and there are many harmful chemicals in food packaging. As people become aware of packaging’s pollution and health impacts they are seeking safer packaging, and current regulatory guidelines may no longer be sufficient to address consumer concerns. Brands and retailers need to make their packaging safer for people and the natural world. In this report we identify three major innovation needs for the food packaging sector: alternatives to petroleum based plastics, improved end-of-life functions, and safer functional additives, and we highlight more than 100 companies and innovators addressing these challenges," writes Safer Made Team members Adrian Horotan and Marty Mulvihill. Read the full report, commissioned by the Forsythia Foundation, to learn more about the future of food packaging, and please share the report with people in your network. Still on the topic of food, we thought we should share that although minimally processed, fresh, organic food is recommended as part of a healthy diet, the frozen isle can also be a good option if you are an informed shopper. Here are the top five items from the freezer at your local grocery store that EWG.org recommends in a recent blog. If you read all the way to the bottom of the page, you will also see that they provide detailed tips on the safest way to microwave frozen and other foods. ZBC has also been saying for a long time you should use glass, not plastic, to heat food in the microwave. Just because the packaging says "microwavable" doesn't mean that is best for you or your family. You can help get the word out that Latinas Contra Cancer (LCC) opened their new Wig & Prosthesis Boutique, which is located at the LCC office in San Jose. For 15 years, through the generous support of donors and volunteers, LCC has provided wigs and breast prostheses to cancer survivors at no cost. They are launching a new boutique experience for the clients they serve. The LCC Wig and Prostheses Boutique will offer wigs, prostheses, bras and fittings along with scarves, hats and other related items. Their services continue to be at no cost to their clients. Finally, I do want to share that in 2018 ZBC earned the Guidestar Platinum Seal of Transparency and this will be renewed in 2019. Please read our past reports and tax returns here and let us know if you have questions by contacting us here. P.S. Just a reminder that it's not too late to become a monthly donor to Zero Breast Cancer. Your gift of $25, $50, $100 or more a month supports community outreach and education on ways to reduce breast cancer risk. Sign up here now! Thank you! If you missed the announcement in January, you can read it here. 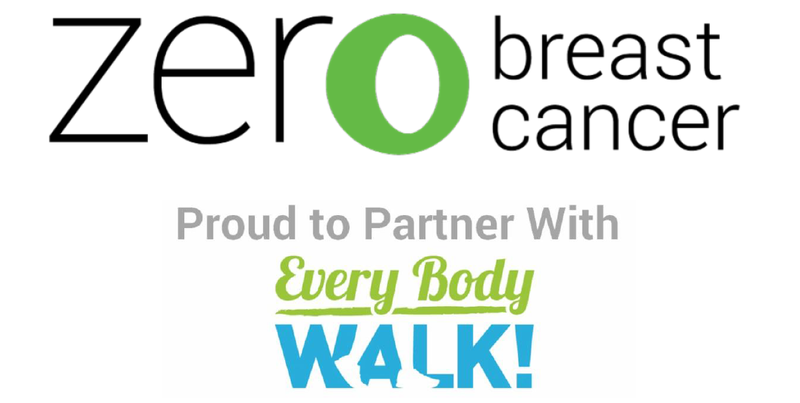 If you know someone who might be interested in leading Zero Breast Cancer into the second half of its third decade, please refer them to the job posting here! Thank you! In case you missed this last month! Next month we will share answers to these questions with respect to the Dipsea Hike for Zero Breast Cancer. Please be sure to look out for the next edition of this newsletter on April 30th! The number of girls starting puberty before age 8 is more than double what it was just a generation ago! And this is a problem: scientific research has shown that earlier development can lead to health issues, both in the short and long term, including increased lifetime risk of developing breast cancer. You can read our newest blog to learn more here. SHOUT OUT TO LAURA L.VIDAL! Children's book author, health coach, breast cancer survivor and ZBC donor launched her website recently! You can go to Laura's website here and you can read the Zero Breast Cancer review of her book here. In the third of our Get to Know ZBC Partners interview series, we talked to Dallas Drotz of Drotz Design. Dallas is a versatile creative talent with excellent listening skills, a thirst for knowledge, a big heart and unending patience! Dallas was introduced to ZBC in 2015 when we needed to find a way to turn the science about early puberty into a health and wellness campaign. It all started with a series of mood boards and the rest is history. Today the body of work that Dallas has teamed with ZBC to create includes infographics in English, Spanish, and Chinese; a micro-site in English and coming soon in Spanish; and a YouTube series in English, Spanish, and Chinese!